In March of this year, Hennessy and the National Gallery of Ireland announced the introduction of the Hennessy Portrait Prize. The competition aims to promote interest in contemporary portraiture and to expand the National Portrait Collection, which has been in existence since 1872. The introduction of this new prize shows how portraiture, often considered a traditional genre, still has an important role to play in the contemporary art sphere. The competition was open to artists of all disciplines, the one condition being that the artist had to be a resident of Ireland or an Irish citizen living abroad. 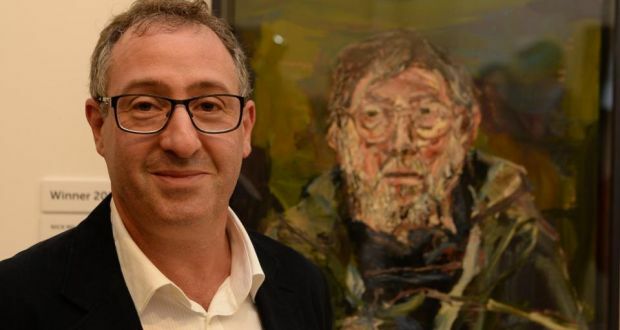 The prize was set at €15,000, alongside a commission worth €5,000 to produce a portrait of an Irish sitter for inclusion in the National Portrait Collection. From its conception, the National Portrait Collection has been described as a “celebration of eminent Irishmen and Irish women” and this award aims to continue that legacy today. By 31st July the competition had received over 400 entries, which was narrowed down to a short-list of just 12 earlier this month. The judges were not given the names of the artists during the decision process to make it as unbiased as possible. The judging panel included Dr. Declan Long (NCAD), Donald Teskey (RHA), Cristin Leach Hughes (The Sunday Times), Janet McLean (NGI) and the director of the National Gallery of Ireland, Sean Rainbird. The twelve short-listed artists represent a very diverse range of art, and definitely refute any idea of portraiture being dated. There are huge variations in age, background and practice amongst the artists. The group includes some relatively unknown names as well as some more prominent and well-established artists. As the prize was not restricted to traditional media, the works chosen include video installations by John Beattie and Saoirse Wall and photography by Hugh O’Conor, Mandy O’Neill and Erin Quinn. The rest of the entries are, more traditionally, oil paintings but this does not hinder the inventiveness and creativity found in all of the works, which range from figurative to almost completely abstract. Nick Miller was announced as the winner on 11th November. A London born artist who has been based in Ireland for the last 30 years, Miller has experienced considerable artistic success here. He has exhibited his work in IMMA, the RHA, The Huge Lane and Projects Arts Centre, to name but a few. His winning painting, entitled “Last Sitting: Portrait of Barrie Cooke”, depicts his friend and fellow artist. Cooke sadly passed away earlier this year, just a few months after the portrait was painted. Miller has said of the painting that “there was an awareness during this last sitting that the end of his road was approaching”. Nick Miller with his winning portrait of Barrie Cooke. Millers winning painting, and the other eleven short-listed works, will be on display in the National Gallery until 8 February 2015.